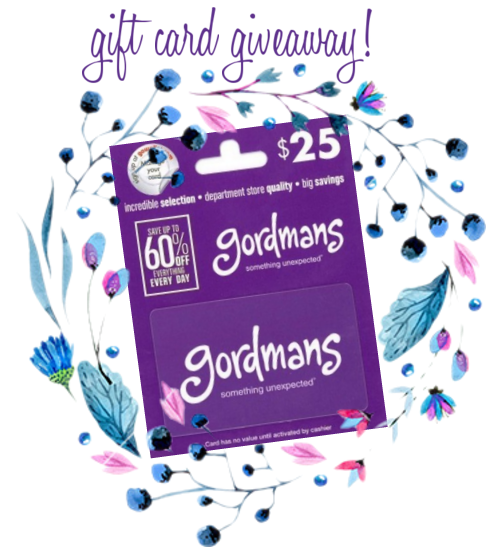 Springtime Decorating with Gordmans | Win a $25 gift card for your own spring shopping! As Springtime settles in, I get the itch to not only do some spring cleaning, but also do some spring decorating. I don't want to overhaul my apartment, but I do love swapping out heavy winter fabrics and incorporating bright, fresh bits of color. One of my favorite one-stop-shops for decor is definitely Gordmans. To help with my springtime decorating, Gordmans sent me a $25 gift card. (Thanks, Gordmans!) And so, the treasure hunt was on! Gordmans is one of those places where I could do serious damage in the wall art section alone. Don't even get me started on the throw pillows! For this trip, I challenged myself to not spend my whole gift card on one thing. 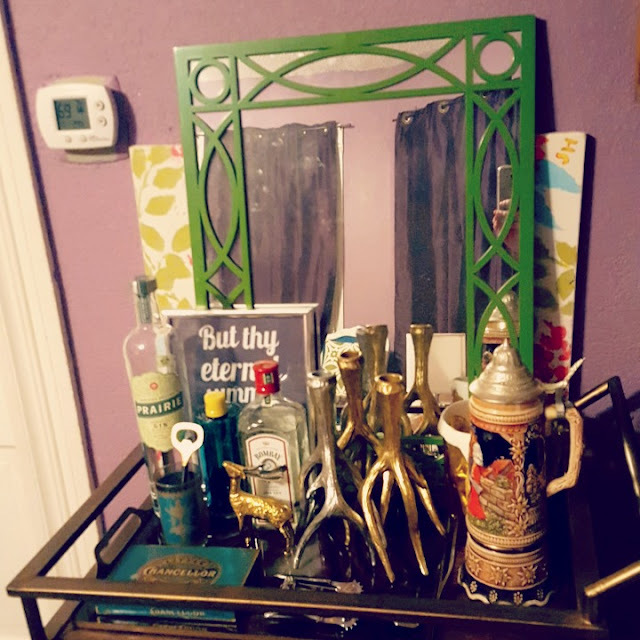 Instead, I aimed to pick out several items that I could use throughout my apartment. This caught my eye first. Gordmans has a lot of great nautical and sea-inspired decor right now. 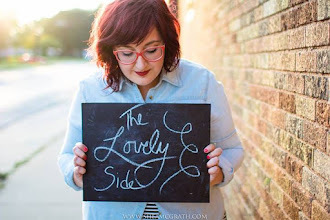 Even though I'm a landlocked Iowa girl, I love all the anchors and shades of blue! 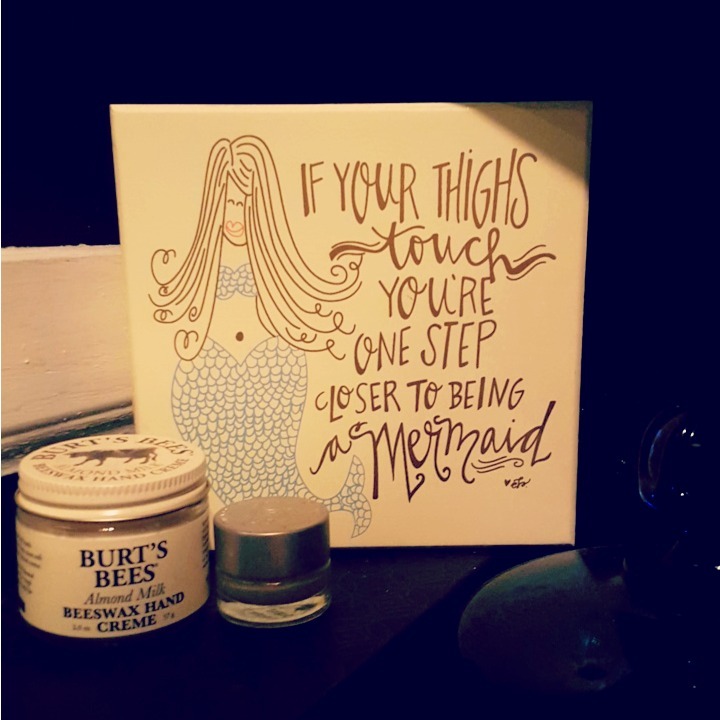 I stumbled upon this little wooden sign that features a curvaceous mermaid and an adorable saying: If your thighs touch, you're one step closer to being a mermaid. 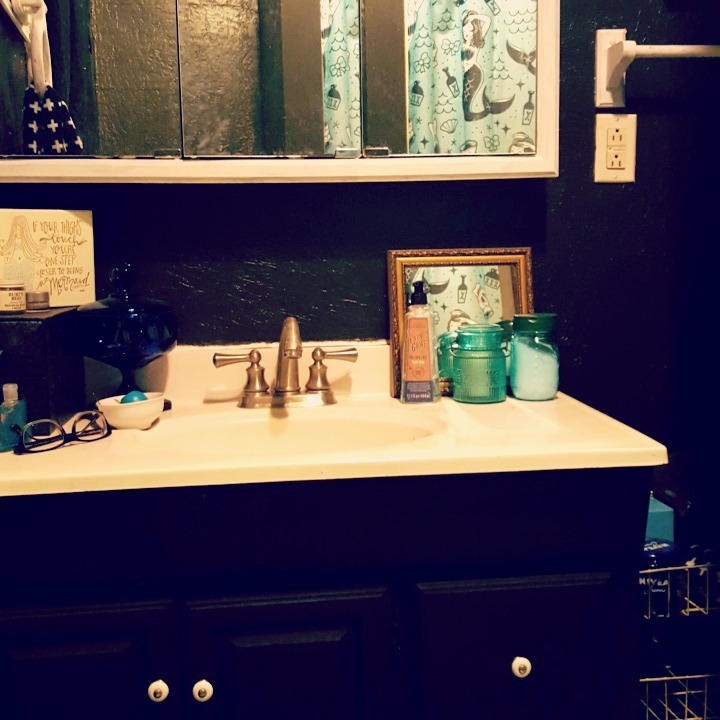 Here's a "zoomed-out" look at my bathroom vanity right now. First, the wooden sign fits right into my mermaid-themed decor. And second, if the bathroom's not the greatest place to put this little reminder... I don't know what is! I'm so smitten with it. The next thing I found was a bit less silly and a lot more sentimental. This little wooden block has a hole on top into which a little glass tealight-holder fits. But it's the quote that first pulled at my heartstrings and then stole my heart altogether. It reads: There's no place like home... except grandma's. Growing up, my grandma's house was my second home. Even now that I'm out on my own, I still often stay the night at my grandma's when I visit home. The colors on this block fit right into my decor in several rooms, so I foresee it moving around the apartment a lot. The flowers feel so springy! 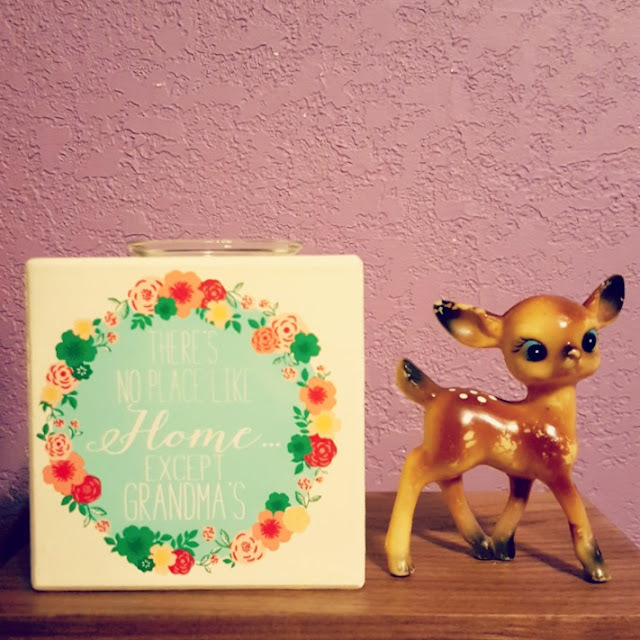 And does it look cute next to my little vintage deer toy? I was just about done shopping when I spotted these tucked away on a bottom shelf. As soon as I had one in my hand, I knew they were all three coming home with me! 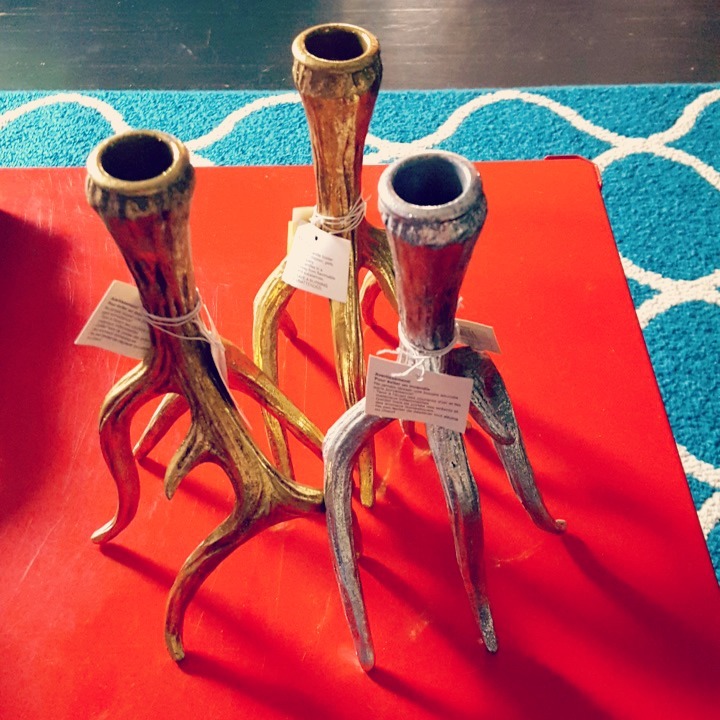 They're antler-shaped candlesticks... two gold and one silver. And I'm kind of obsessed with them. Like setting them on my coffee table, staring at them, wiping the drool away from my chin obsessed with them. I asked G if he liked them. He kinda shrugged (having patiently followed me around Gordmans for too long at this point) and said, "You're the one with a thing for antlers." He doesn't care either way and will totally indulge me in my eclectic/eccentric decor taste. (He is surrounded by it at my apartment, after all.) But what he said is the truth: I do have a thing for antlers... from my copper antler wreath to the multiple antler-boasting deer figurines hanging out throughout my apartment. I went a little over my $25 budget (by about $10), but ended up with something cute and affordable for several places in my apartment. but they also gave me a $25 to give to one random reader! My living room could benefit most from a little springtime shopping. I'll be moving apartments in less than two months so my new living room and bathroom could definitely use some sprucing up with some fresh items! My bathroom could use some more style and storage. Thanks for the giveaway! My patio could use a little decoration. I would love to redo my desk! The family room which goes to the backyard could use more spring time decor.